The fundraising event, took place on campus to support the victims of Super Typhoon Chaba. UNIST has been actively raising awareness and fundraising for Typhoon Chaba relief efforts by collecting aid and planning fundrasing and other efforts on campus. As part of disaster relieft efforts, UNIST students have recently hosted a two-day fundraising event to support the victims of Super Typhoon Chaba. Throuout the event, students have donated their unwanted clothing and household items as they move out at the end of term to help raise funds for relief efforts. The group has raised 494,000 won and chose to direct the total proceeds of the event to the local Community Chest on November 17, 2016. The event, took place last Thursday at the square in front of the UNIST Dormitory building, was carried out as part of UNIST’s Residential Advisor (RA) project. 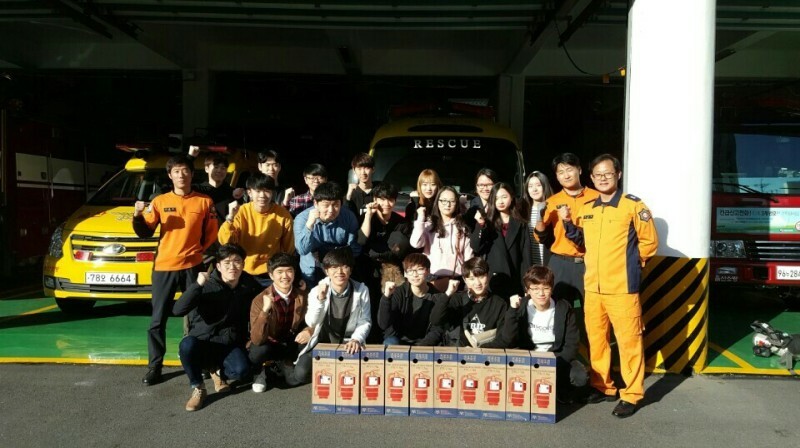 On November 12, the group also visited the Ulsan Nambu Fire Station to deliver ten portable fire extinguishers for the less privileged.